Dakota Machine Works’ . quality and customer service are key reasons we are preferred by customers . We are ISO 9001/2000 Compliant, and MIL-I-45208A Certified. As well as keeping up to date in our shop with new machines, we are constantly investing in providing our customer with the best in quality parts. 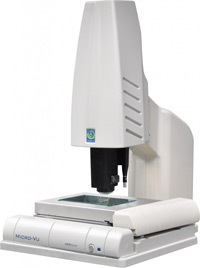 We have obtained a Micro-Vu Vertex 221 Inspection System. For the most accurate of inspecting customer threads, we have invested in a Johnson Thread Company thread checking system. As well as micrometers, calipers, plug gages and thread ring and plug gages essential in any machine shop, we also have a Surfometer for checking surface roughness, and a Mitutoyo Toolmakers Microscope.